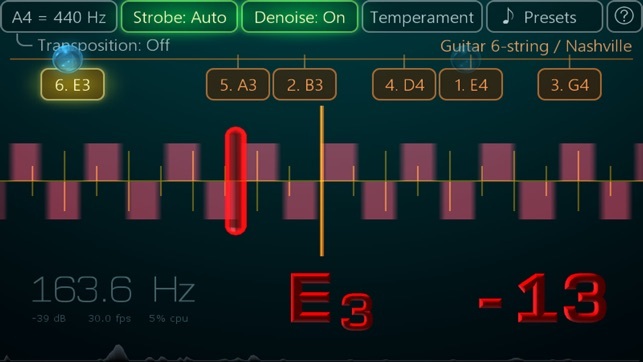 Powered by 64-bit NeatTimbre™ DSP engine, this app can help tune all your string, brass, woodwind, and some percussion instruments. It is fast and accurate, try it for yourself! After the trial period ends, you can purchase a full version license. Alternatively, you can keep using the trial version as long as you want, but expect a reminder to pop up periodically. There will be no other limitations. Initially, the app was made for Windows smartphones in 2012 and got high recognition among professional musicians. 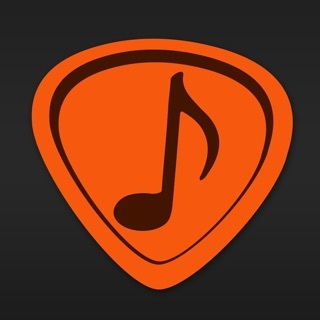 Most user reviews say that Airyware Tuner is the best guitar tuner, however this app is not only for tuning guitars. 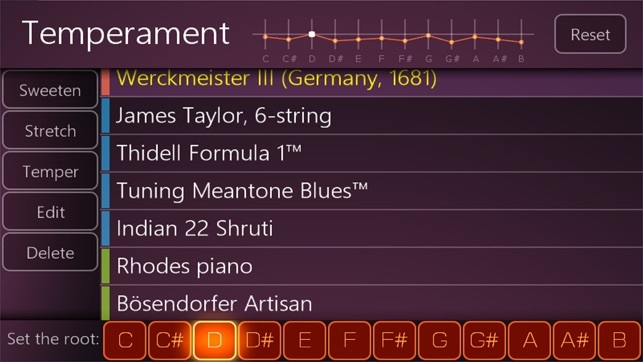 It can help you tune more than 400 orchestral instruments including piano, violin, flute, bagpipe, trumpet, clarinet, saxophone, cello, mandolin, veena, church organ, harmonica, recorder, guitar, ukulele, bass, banjo, etc. It works equally well at stage, home, and street. It is beloved by bass guitar players and contrabassists. 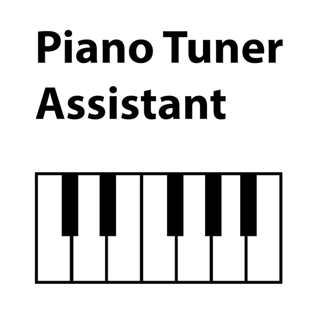 It is used by professional piano tuners and luthiers. With instant reaction, scientific precision, waveform inspector, denoiser, true strobe view – this tuner is a choice of musicians who care about the best sound. 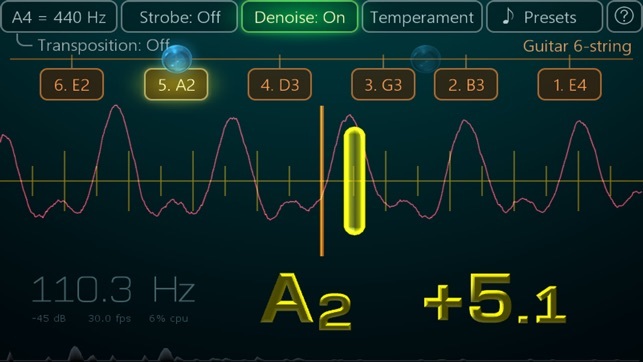 • calibration to external sound now expects "A" note as a reference by default. 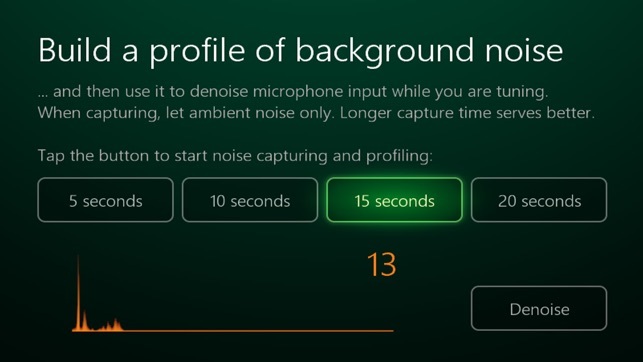 To calibrate against a nearest note (pre-1.16 behavior) do tap-and-hold on the microphone button. This app was working great this weekend but when I logged in today, it said it was only a trial and I needed to purchase the full version. I did and now the app doesn’t even work! I’m going to try to get a refund. Update: I deleted the app and reinstalled and now it is working perfectly. Must have just been a glitch. I changed my rating to 5 stars. We are glad that the problem has been resolved. Thank you for updating the rating. 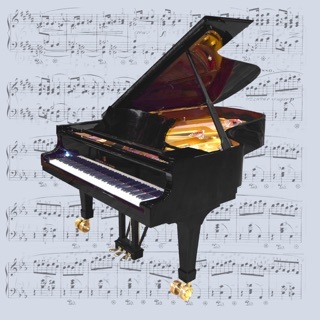 Have your instruments sound their best! 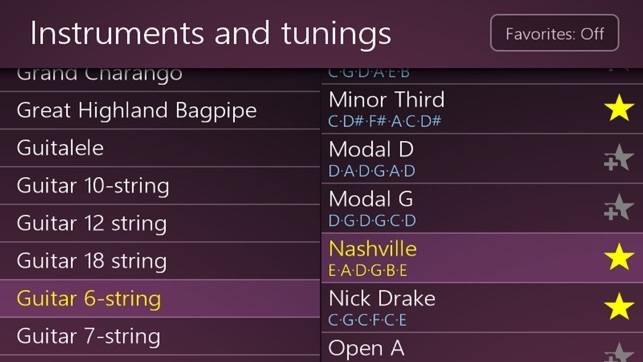 Love this tuner and have tried many. 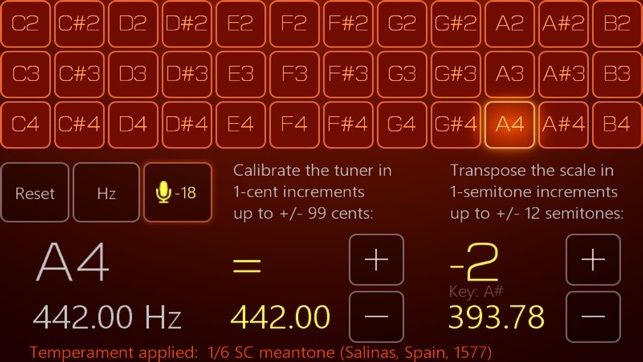 Bought a few others like Tonal Energy which is good but I wanted easy custom tunings where adjusted by semitones & this app comes with tons & so easy to enter your own QUICKLY. Big full screen tuner is easy to see from across the stage. This is probably my first review I’ve ever done for app. This is easy and as complex as you chose. 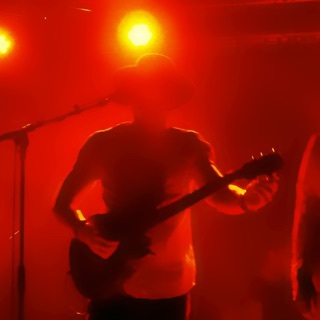 Seeing hz. And being able to change temperament is exactly what I was looking for. It’s apps like these that make your phone one of your most valuable tools.